Researchers in Germany have developed a high-performance mineral binder, which, they say, can help reduce the energy consumption and CO2 emissions associated with cement production. 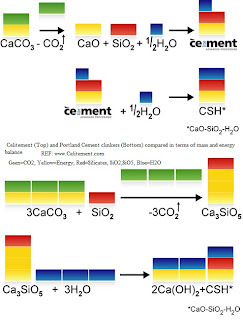 Celitement, the material’s trade name, is based on hydraulic calcium hydrosilicates." 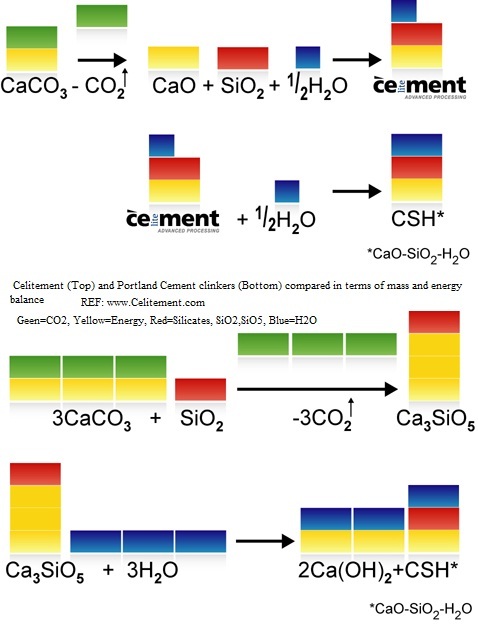 Celitement is made by forming calcium silicate hydrates in a hydrothermal reaction at temperatures between 150 and 200ºC. In a second step the autoclaved material is co-milled with a SiO2-rich material, such as quartz-sand. ‘During hydration, Celitement transforms to calcium silicate hydrate gel. This material is the cement hydrate, which defines the mechanical strength and stability of traditional concrete. Thus material properties of test samples made with Celitement, such as strength development and final compressive strength (up to 80 MPa) resemble those of samples made with OPC,’ adds Mayer. In spring 2011, a small pilot with a production rate of 100kg/day will start operation at KIT to perform extensive material tests and prepare scale-up.